This is another post in our Guest Writer series that is meant to expand the set of opinions found on kraxinlogic. In the spirit of free speech and diverse opinions we will not be vetting or editing our guest posts in any way. We hope to encourage as many of these as possible in the future. Thanks Berko for contributing to Krax! As a soon to be 26 year old I can safely say that my generation and those younger than me are not prepared for war. Now, that doesn’t include everybody but it is certainly a growing majority. 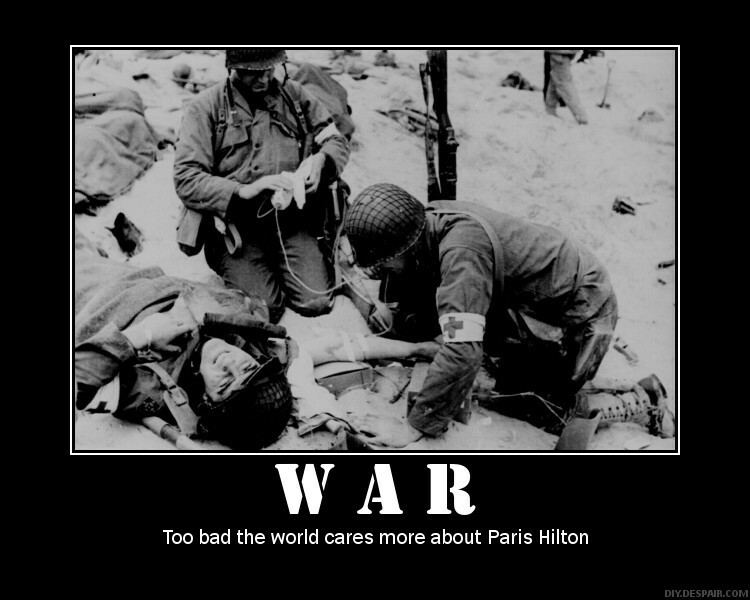 The generation of Bieber, Apple and #FirstWorldProblems does not understand how brutal war is. And I’ll be the first to admit I’m one of them (except for the Bieber fan part). And yet all around the world today, fighting continues – just as it has for as long as we have recorded history. People are still killing each other by the thousands every single day. And the reason for that is quite simple. It’s because people don’t always agree with each other. At no point in our history have humans united around the entire world under one way of life, one political ideology, or the same set of values. And the same continues today. Think about some countries around the world for a second. Iran? China? Cuba? If you know anything about these countries, you will surely admit that the likelihood of our style of living (let’s call it Westernism) replacing theirs is next to nil. So why don’t we take their living environments? Well people wouldn’t stand for it. In China they only have access to government approved Google searches. In Iran, you can get put on death row for converting from one religion to another. And in Cuba, you can’t even get a Coca Cola. What kind of world would it be without a nice cold glass of Coke? If we won’t all unite under one common banner, we will have arguments over how to run things – correct? Each side will believe that their way is better. Inevitably, as history has shown us, there will always be cases where people resort to violence to solve these disputes. There is a growing trend in Western culture of just sticking our heads in the sand and saying why can’t we all just get along? I believe that this approach has left us vulnerable so that when the day comes where we must fight for what we believe in, we will not be up to the task. People seem to forget that all of Europe could still be under Nazi control if the Allied forces had not fought for what they believed in. To think that war is something that can always be avoided by diplomacy is a foolish notion. It may work sometimes, but the threat and intent to go to war with our enemies is imperative to maintaining our way of life. Without that resolve, we appear timid, lazy and weak. This is a very slippery slope and one that will not end well. The less forceful you are with your enemies, the more they can get away with. And if you think we don’t have enemies, you are naïve. We may not think of them as our enemies but they certainly think of us as theirs. One quick scan of the headlines tells us that in many places around the world, war is unfortunately still a part of many people’s lives. You wouldn’t need to look further than the events of the Arab spring for proof. And even still, the Syrian government is massacring their own people – 60,000 the last time I checked – and probably much higher since we can never know the exact casualty figures in that kind of war. War has been a required part of our existence up until now and will continue to be so in the future. If we continue to put our heads in the sand and lose the will to fight for what we believe in, we risk losing everything we have and hold dear. We cannot forget that although it should never be our goal to create needless casualties, our way of life (beyond a glass of Coke) may, sometime in the future, need defending. If we continue along our current path, when it does need defending we won’t know how to defend it. Sports provides a good although somewhat simplistic and crude analogy. Imagine it’s the last game of the championship. Team A has had several key players rejoin their team after being injured for most of the year. Team B has had their team stay healthy for the better part of the season, learning how to play with one another and building chemistry. Which team would you think has the natural advantage? I’m not saying we should fight wars for no reason just to keep us sharp but we can’t lose the mentality that war may sometimes be a necessity. If we do, we will not remember how to win them. Europe would be a much different place today without the 500,000+ North American soldiers who sacrificed their lives to defend our way of life, not to mention the millions of young Soviet men who sacrificed their lives for their way of life – although we inevitably won that battle as well. The current economic solvency of the continent would seem trivial compared to the death camps and the mass slaughtering of anyone who disagreed with the Nazi’s. And that wasn’t even that long ago, historically speaking. This isn’t a rallying cry to go picking fights with people around the world in order to convince them our way of life is better than theirs. It’s simply a warning to be cognizant of a point in time in the future when we will be called to defend our ideals, values and culture. War is good for something – and we are all living proof. #FirstWorldProblems would mean a completely different thing had our ancestors been as lazy, celebrity-obsessed and naïve as we have become. This is Berko’s opinion, what’s yours? mongrel пишет:Я тут один на сайте? Под старыми в моём понимании видимо таки Don\’t Cry (ессно его никто не отнимет) и на мой вкус Paradase City, Patience, Welcome to the jungle.